I was contacted last month by Simpson Strong-Tie to take part in their DIY Done Right Campaign. 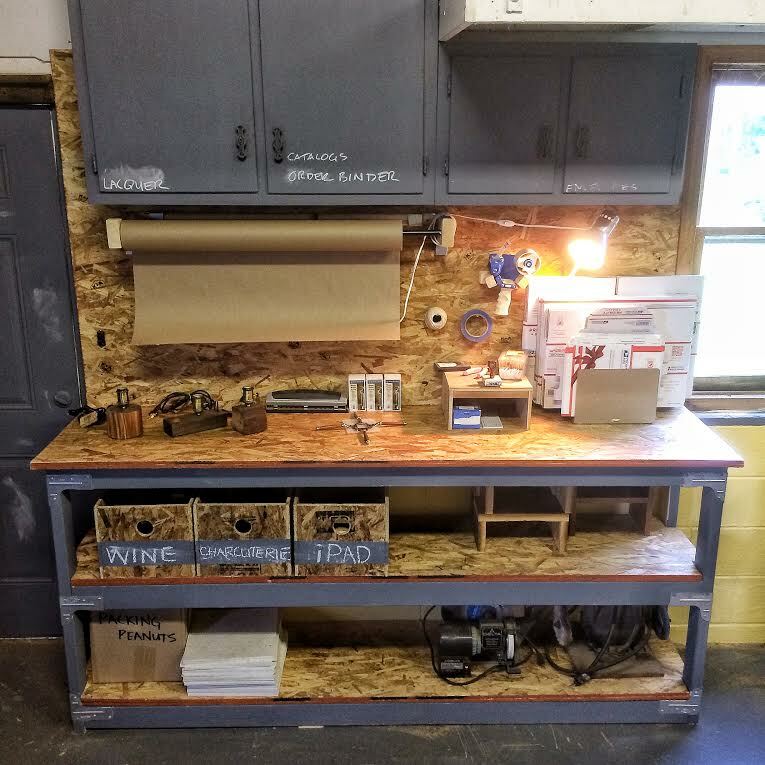 I jumped at the opportunity, since we were in desperate need of additional organization in our workshop! We desperately needed a shipping and receiving area, so we could quickly process website orders. Simpson sent us two kits and $50 to Home Depot to create whatever we wanted! Bryan came up with a design that maximized every square inch of available space we had.The project took us an afternoon to complete. The kits are very easy to use! 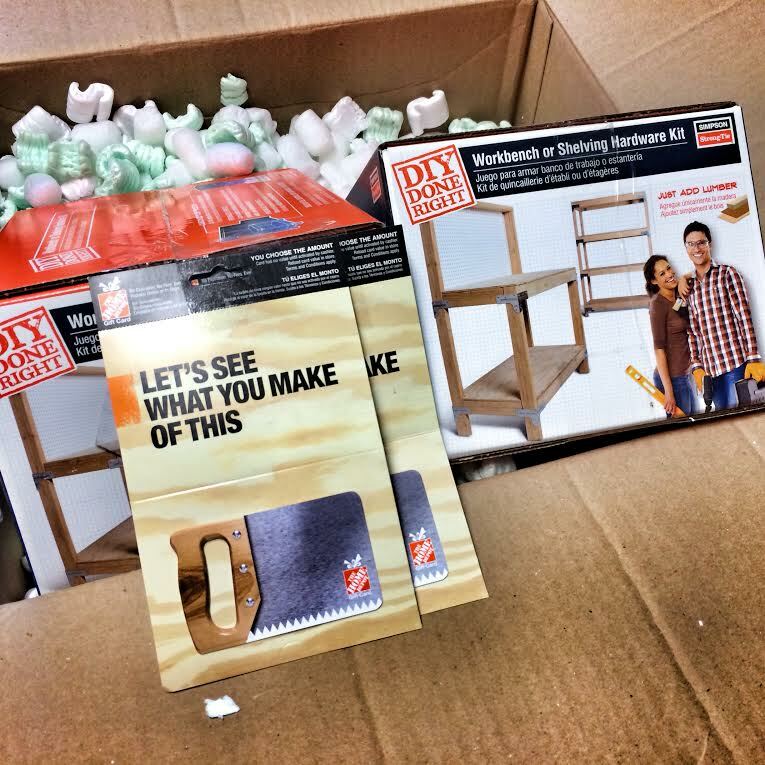 The best part is one lucky follower will get a kit and $100 to Home Depot to get their DIY on! Who doesn’t love free?! Additionally, Simpson will be giving away $2000 worth of powertools and hardware! 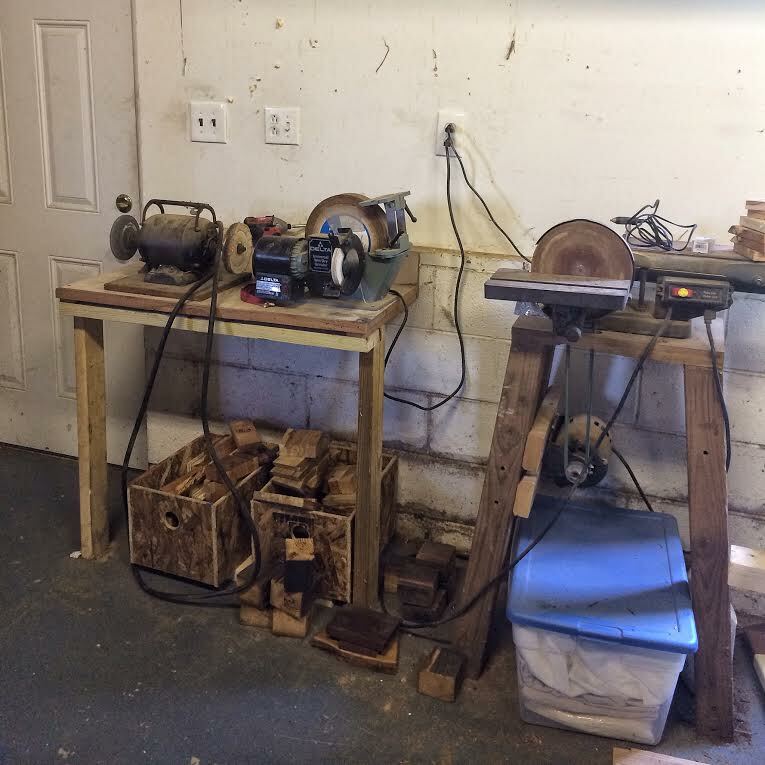 Here is the area of the shop we felt needed some attention. It is important to lay out your design and cuts before starting your project. This will save you a lot of time once you get started. This is a great way to make multiple cuts of the same length very fast. Simply clamp a scrap piece of wood to your saw at the length you need. Make all your cuts from the cut list. 2 x 4’s are very soft, so a great time saving tip is to start the screws with a hammer. This will save you a lot of time. Each bracket has 14 screws, so it takes a bit of time to get them all secured. Here is another great time saving tip! Cut a board to the height of the second shelf, so you can quickly attach the brackets. We knew our shelves would be holding a lot of weight, so we added cross supports. Take the time to mark where the cross supports go with chalk, so you can quickly assemble. 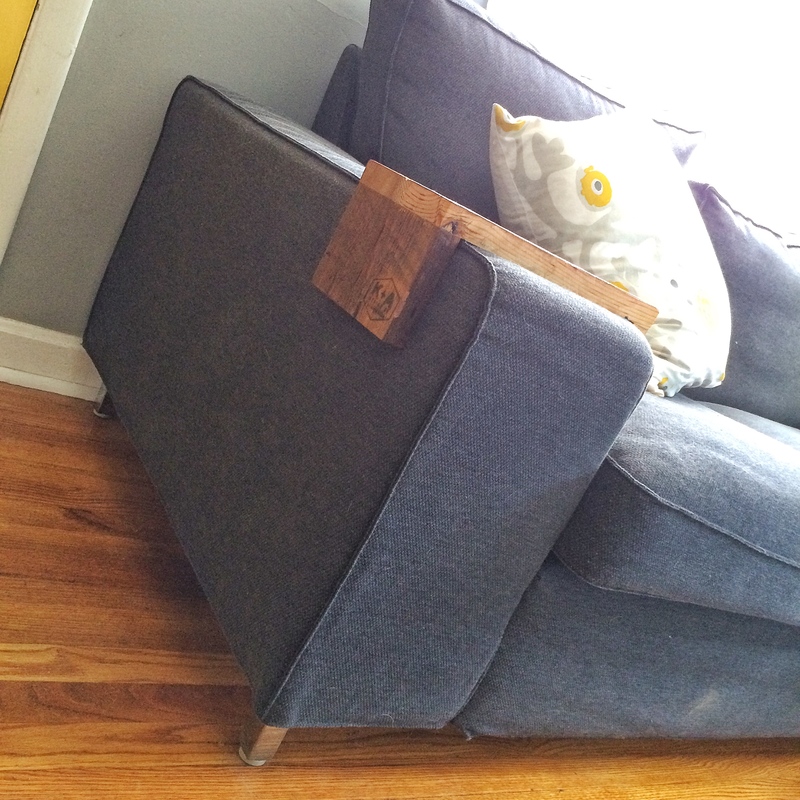 We opted to use a nail gun for speed, but a drill and screws can be used for this step. We love using OSB because it has common sizes marked on the back for quick cutting. We used one sheet to mark the sheet we were going to cut. It is a quick and easy way to get an 8′ straight line. The shelves are notched, so you will need to cut away the shelf supports. Simply use a scrap 2 x 4 for this. We used a circular saw, but a jigsaw or handsaw can be used for this step. We cut two at once to save time. Next we measured the wall, so we knew where to make cuts on the OSB. Mark where the outlets are and drill a hole, so you can start the jigsaw. Now cut away the area where the outlets will go. It’s ok to think outside the box! We needed storage for our paper roll, so we made supports using two Simpson brackets, 2 x 4 scraps, and an IKEA curtain rod. We could not be more pleased with the outcome! We had two extra brackets, so we decided to add a merchandise area to our shop for when customers visit. Here’s the before shot. As you can see, the Simpson brackets are very versatile!